Bailey Walts ’17 made the most of his Salpointe experience. He ran cross country all four years, played lacrosse, and was a Kairos retreatant and leader. Among all the great experiences Bailey had as a Lancer, being a Kairos leader was his favorite. He is grateful for the generosity of those who contribute to scholarships and knows the difference it has made in his life. “He wouldn’t have been able to go here without it. I’m very grateful,” said Bailey’s mother, Shaina Walts. Bailey is headed to the University of Arizona this fall, where he’s been awarded the Wildcat Excellence Tuition Award, a highly competitive undergraduate tuition scholarship offered annually to a select number of Arizona high school graduates. Bailey plans to major in Entrepreneurship and, thanks in part to his time in Kevin Russell’s Environmental Science class, perhaps minor in Geosciences or Environmental Science. A guitar player, Bailey also hopes to take music composition classes at the U of A. All of this, however, would not have been possible without corporate tax credits, which make Lancer life a possibility for more than half of our students. 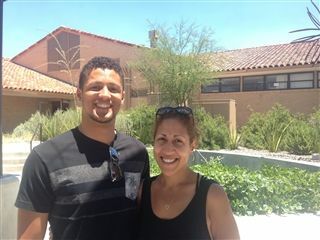 In the state of Arizona, corporate tax credits make it possible for low-income families to send their children to private schools like Salpointe when they may not have otherwise been able to afford tuition. Corporate tax credits directly benefit students at private and independent schools. It works like this: S and C corporations that do business in Arizona have to pay taxes to the state, and in lieu of paying the state, these corporations can redirect a portion of their taxes to provide scholarship dollars to qualified schools in Arizona. These scholarships are used only to assist students who qualify for the highest need of financial aid as verified by a third party evaluator. Did you know? For the 2016-2017 school year, Salpointe received verified financial aid requests from its families totaling $4 million. However, the school was only able to meet $3 million of this need, utilizing individual and corporate tax credits, interest on the endowed scholarship fund, and donations from private donors. Are you an Arizona C or S corporation? You may be eligible to impact Lancers like Bailey by taking part in the Arizona Corporate Tax Credit! 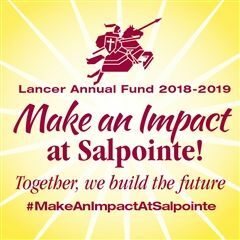 For more information, contact Salpointe’s Director of Advancement, Jennifer Harris, at 520-547-1952 or jharris@salpointe.org. Read more in Salpointe Today.